Wonderful vacation cottage location, this doll house is nestled on a tree'd lot with private shady yard. Tucked in a quiet Avenue off Lewis Road, just 4/10ths of a mile to Lewis Bay and 6/10 to Englewood Beach with Marina. Perfect getaway or rental, easy stroll to beach breakfast, and dining spots and Cape Cod Inflatable Park! Quick drive from exit 7. Updated Roof, Harvey vinyl windows & gas hot water heater replaced in last 5-7 years, 1st floor laundry, gas heat. Seller to install new 2 bedroom Title 5 septic in rear yard. Flood maps indicated not in flood zone. Buyer & Buyers agent to confirm all data herein and do their own due diligence. Listing courtesy of Denise Holbrook of Cape Cod Real Estate Pros. 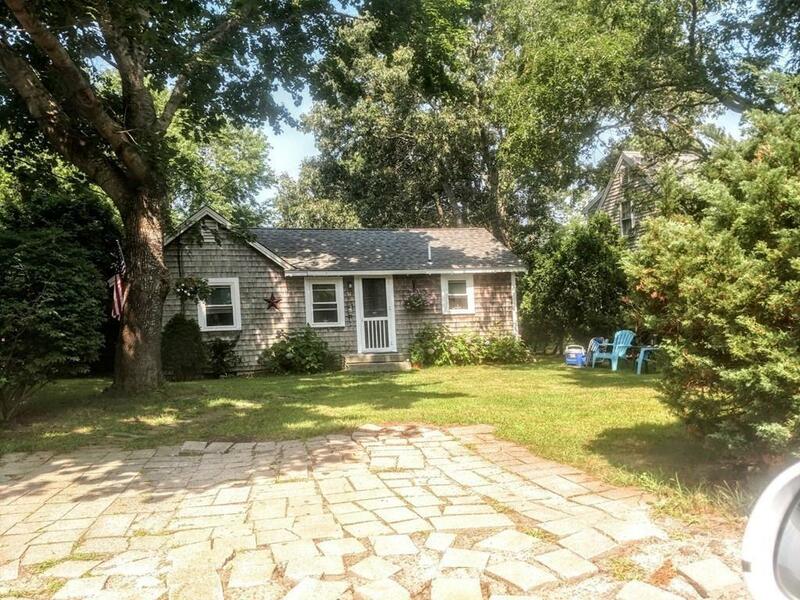 Listing provided courtesy of Denise Holbrook of Cape Cod Real Estate Pros.